Southwest Airlines Contest- Deadline Extended! Southwest Airlines and the Florida Literacy Coalition are giving you the opportunity to raise funds for literacy! Four community-based organizations will receive two (2) round-trip airline tickets each that can be used for any Southwest destination. Submit a one or two page letter on your organization letterhead briefly describing your program, how a donation of tickets will be used to raise funds, and for what purpose. Please include your name, address, telephone number, email address, approximate date of fundraiser, fundraising goal, and a brief statement as to how Southwest Airlines will be recognized as a supporter. Tickets can be used as part of an existing event or as a standalone fundraiser. A committee will select the winners. Feel free to be creative and have fun! Apply today. I have had the joy of working closely with some of you already, but for those of you who don’t know who I am please allow me to introduce myself. I am Amanda Terrell and I’ve been working as the FLC’s Event Coordinator Intern since August 2012. My primary focus has been assisting in planning the 29th annual Florida Literacy Conference as well as working on our very successful Tutor Symposium sessions held last November and handling tutor training material requests. As conference approaches, I am getting more and more excited about our silent auction. I want to share SOME of the MANY items we will have up for bidding during Conference! Admission tickets into Florida’s most exciting attractions, including: Walt Disney World, Great Explorations Children’s Museum (1 year membership! ), Orlando City Soccer, Wonderworks, Central Florida Zoo, Bush Gardens, SeaWorld Orlando, and Kennedy Space Center. Make a family fun day out of any of these auction items! Two round-trip tickets to anywhere in the continental U.S. that Southwest flies. There are no blackout dates and checking luggage is always free with Southwest! Go ahead and plan that trip you have always wanted take and plan it on your time. One night deluxe accommodations gift certificate to the beautiful JW Marriott in Orlando, Florida. This could make a perfect get away weekend where you could pamper yourself and whoever else you enjoy spending your time with! Gift cards and gift certificates to a number of places, including: Staples, Billy’s Bike Rentals, the KeyWest Express Cruise, The Florida Orchestra, The Florida Aquarium, and The Dali Museum. All proceeds from the silent auction will help FLC support community based literacy organizations with their training and program development needs. The auction will be open for bids beginning Wednesday, May 8 at 8:30am and will close on Thursday, May 9 at 3:10pm. Do you or someone you know have something to donate for our silent action? Don’t fret! We are always happy to accept items for the silent auction! Please email me at Intern@FloridaLiteracy.org and I will be sure to get your item in for bidding! Call for 2012 Florida Literacy Award Nominations! Do you know someone doing great things in literacy? Recognize the outstanding accomplishments and achievements of individuals and organizations supporting adult and family literacy throughout Florida. 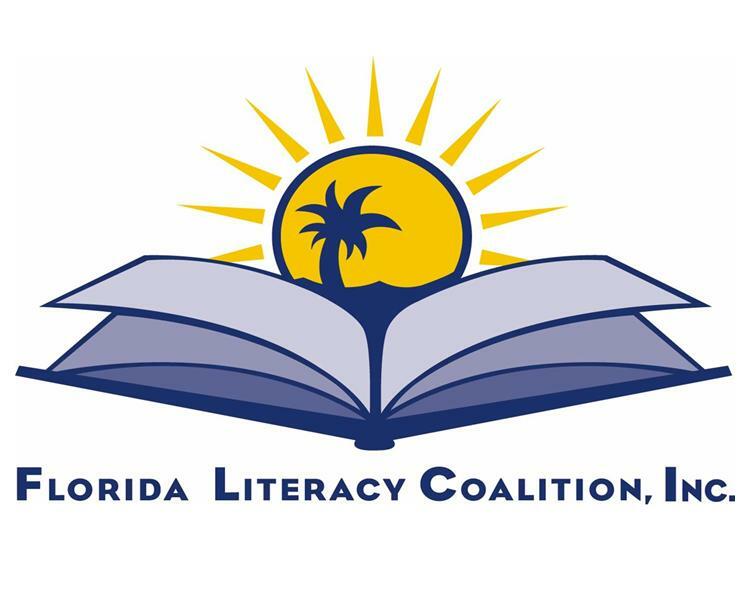 Each award recipient will receive two complimentary tickets to the Awards Banquet on May 10 at the Florida Literacy Conference in St. Petersburg, Florida. Each award winner’s affiliated organization will also receive one reduced full conference registration ($75), which is transferable to anyone in the organization, as well as one free Awards Banquet ticket. DEADLINE: MONDAY, MARCH 12, 2012. 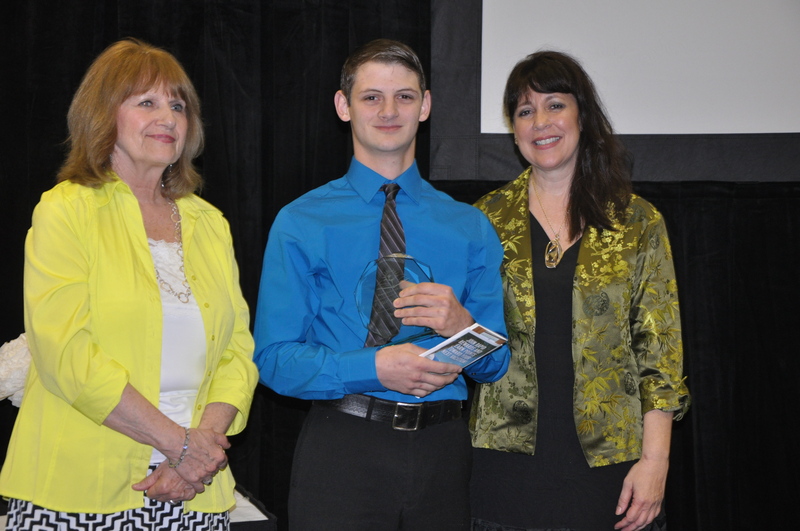 Honors a literacy volunteer who has demonstrated exceptional service and commitment in either tutoring or program operations. This award may be given as recognition for a specific outstanding achievement, or for ongoing exceptional service. Recipient will receive a $100 gift certificate from New Reader’s Press. Recognizes a Florida resident whose support of literacy exhibits the highest standards of excellence, dedication, leadership, creativity, and accomplishment. Recipient will receive a $100 gift certificate from New Reader’s Press. Honors an adult student who has demonstrated exceptional accomplishment in improvement of literacy or leadership skill within literacy. The adult student must currently be tutored by a literacy volunteer or be enrolled in an adult educational program (GED, ESL, Workplace Literacy, etc.) or be a dormer student who has enrolled in a program within 6 months of the nomination submission. Recipient will receive two round-trip Southwest Airline tickets to anywhere in the U.S. Southwest flys. Honors an organization demonstrating achievement, innovation, leadership or organizational excellence in support of adult and family literacy education in Florida. Eligible organizations include community-based volunteer literacy programs, local educational agencies and institutional programs. Recipient will receive a $100 gift certificate from New Reader’s Press. Honors a company or business partner for leadership or significant contributions in support of literacy at the local, regional or state level. Nominees may have established a literacy program in the workplace or shown leadership in supporting community adult education, literacy or family literacy activities. Example areas of support may include but are not limited to providing: grants/financial contributions, volunteers, space for training/tutoring, in-kind donations, or publicity and media coverage. We know many of our attendees look forward to the silent auction portion of the conference. Our auctions could not be possible each year without the generosity and support of our donors. You’re the best! Two, roundtrip Southwest Airline tickets to anywhere in the continental U.S. No blackout dates! Take the trip you’ve been putting off or grab them now for holiday travel. And remember, bags fly free on Southwest! 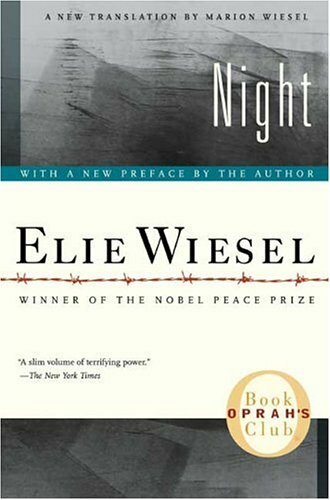 An autographed copy of Night, by Elie Wiesel, author and Nobel Peace Prize winner (1986). Night is a work by Elie Wiesel based on his experience, as a young Orthodox Jew, of being sent with his family to the German concentration camps at Auschwitz and Buchenwald during the Second World War and the Holocaust. Two, single-day tickets to Busch Gardens theme park in Tampa Bay. Experience up-close encounters with amazing animals, take an unforgettable safari across the Serengeti Plains, test your courage on pulse-pounding roller coasters, take in a stage show, and colorful live entertainment. All proceeds from the silent auction will benefit FLC and its members. The auction will be open for bids beginning at 8:30 a.m. on Wednesday, May 5. The auction will close at 3:10 p.m. on Thursday, May 6. Winning bids will be collected at the registration table beginning at 5 p.m. Thursday, May 6. Have you been a lucky auction winner in the past? If so, tell us about it in the comment section below.